"Great location, great hotel, great vibe." Have a question for Freehand Chicago? "Power points in our room were also strategically placed." 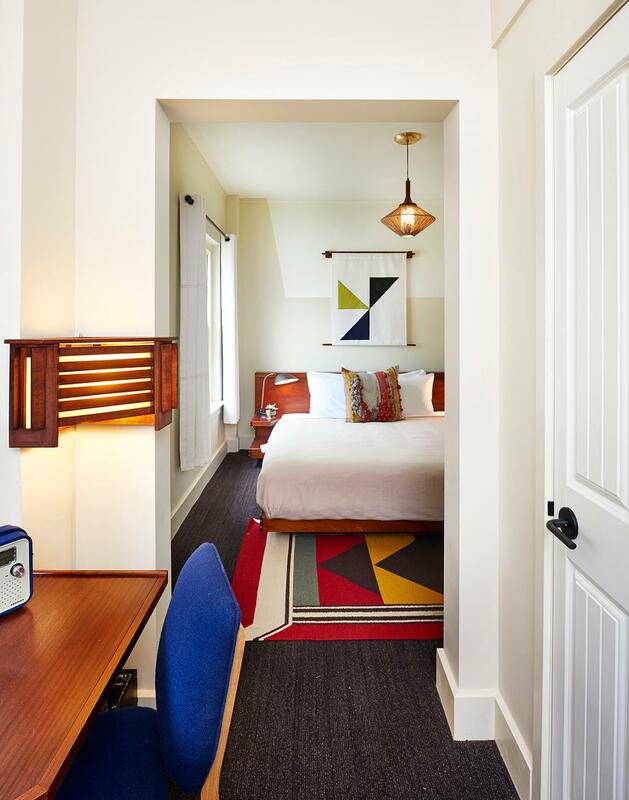 "Older style hotel Good use modular space Good location and access to city ateactions"
"A walking distance to enjoy downtown, value to your pocket c..."
Opened in 2015, the Freehand Chicago guarantees guests a pleasant stay whether in Chicago (IL) for business or pleasure. The hotel lies from the city center and provides accessibility to important town facilities. With its convenient location, the hotel offers easy access to the city's must-see destinations. 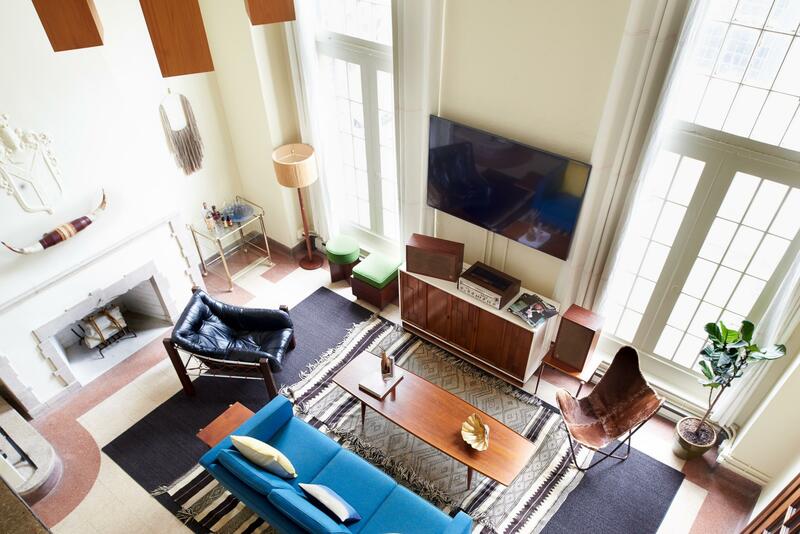 Offering hotel guests superior services and a broad range of amenities, Freehand Chicago is committed to ensuring that your stay is as comfortable as possible. Guests of the hotel can enjoy on-site features like free Wi-Fi in all rooms, 24-hour front desk, facilities for disabled guests, luggage storage, Wi-Fi in public areas. Step into one of 217 inviting rooms and escape the stresses of the day with a wide range of amenities such as internet access – wireless (complimentary), locker, air conditioning, heating which can be found in some rooms. Besides, the hotel's host of recreational offerings ensures you have plenty to do during your stay. When you are looking for comfortable and convenient accommodations in Chicago (IL), make Freehand Chicago your home away from home. "It was clean and I liked the clean bathroom as well." A security deposit of USD 25 for shared room, USD 50 for private room and USD 200 for penthouse is required upon check-in for charges or damages during the stay and will be refunded upon departure. Please note the total reservation may not exceed 8 rooms as additional charges apply for group bookings. 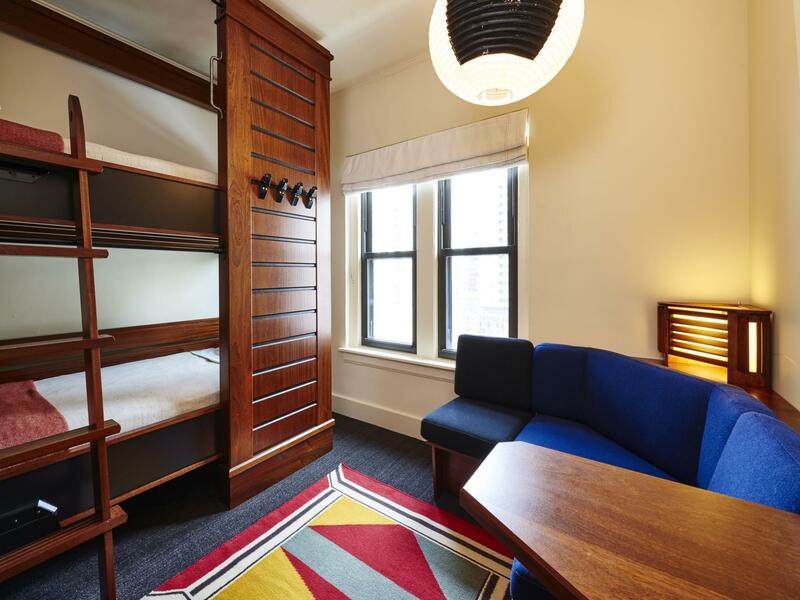 Please note guests booking from Chicago zip codes (60---) are not permitted in dormitory rooms. Guests are required to show a photo identification and credit card upon check-in. Please note that all Special Requests are subject to availability and additional charges may apply. Had a lovely stay here - the room was compact, but perfect for two and the bathroom was more spacious. Our only complaint was the very charming, but VERY slow elevators, as we were on the 15th floor. Having coffee in the lobby and a bar downstairs was great for chilly Chicago winters! The Hostel seems to provide Hotel facilities as well, but the rooms provided to the "hostel guests" are very good, cozy and clean, maybe a bit small, but enough to spend some days. The staff is very nice and helpful. I stay at Freehand for one night after arriving in Chicago O’Hare on a 14 hour flight from South Korea. I was tired, jet lagged and needed a shower and peaceful night’s rest before catching a morning train. This place was perfect! The location is great. The staff were friendly and helpful. The style and design of Freehand is very cool and cozy. A mix of retro (1950s bedside lamp) and boho crafty eclecticism. The room was spacious. The bed...omg the bed was amazing. So comfortable! Nice bathroom with shower. There’s a cozy little cocktail lounge on the 1st floor. Room service available. A mini bar with snacks. I had a great stay and a much needed peaceful night’s sleep. The price is awesome. I’ve stayed at places twice as expensive that weren’t as nice as Freehand. Did I mention the bed? Sigh... sooo comfortable. It's an excellent hostel to stay. It's close to subways, coffee shops, and markets. It was clean and the staff are really helpful and friendly. If I have to go to Chicago again, I'll choose Freehand again. Thank you very much. As the title suggests, it's located downtown in River North, within walking distance to a great number of cafes, restaurants, and bars. It's also not too far from the river, and has a couple of stations close by as well. So if you're visiting Chicago, this is a sweet spot to be nestled at. We booked the queen private room. It is small so if you have lots of luggage, prepare to struggle a little. Otherwise, the room is a nice place to lay your head at night and not run into too much trouble. Very clean and comfortable stay overall. Very accessible to the train (Red Line) and in a really clean and safe area. Would definitely stay here again. The location was right in the middle of the loop, and very near to the metro. The room was quite neat and clean except it was rather small but with a large bathroom. Perhaps they should shrink the bathroom to make more space for the main room. The location is perfect, near everything, the staff are incredible, front desk always manned, coffee downstairs is some of the best in Chicago, awesome events every night, washing, cooking and laundering facilities all great. Gym is great as well as the bar/restaurant downstairs would have to be some of the best food and drinks I’ve had in the states. And all this for $30 a night? Fortunately this wasn’t too good to be true...I’ll be back time and time again. We watched history being made in that nice bed. Cleveland browns won their first game in centuries. It was lit. To be serious, the bed was good. Staff was nice. Girlfriend complains about the bathroom not having a counter top. Ended up not having to pay for parking. It was a pain to drive in the city though. I was atttacted by the competitive price they offer. The room is clean, spacious, and there's an ensuite bathroom. There are elevators and 24hr kitchen. The location is excellent, only one block from the metro station. Thank you very much for accepting me when i arrived at 9am and offering me a free breakfast. Hello, Thank you for staying with us and for taking the time to review your stay. I am so glad to hear you loved your visit and that you enjoyed the layout of the room and the bathroom. I am also glad our staff was able to take such great care of you. I hope we can see you back again very soon. It wasn’t spacious, but We weren’t in the room much so this was fine. My husband didn’t like how low to the ground the bed was. Our room backed up to the parking garage which was noisy at times. On weekend the lobby area was busy and loud. Couldn’t hear it from 11th floor though. Walls aren’t soundproofed well. Good location. Bathroom super clean. I don’t think we’d bring our kids here. It would’ve been too loud and confined. It worked for our needs, kid free, located where we needed and relatively cheap. We wouldn’t stay again though. There are better options for sure. The bar was fantastic! Bartenders were great. Coffee at the cafe was the best I’ve had in a loooong time. Front desk staff was extremely helpful- went above and beyond. And to top it off- Great shower in our private bath! Really great if you have a tight budget but also a valid hotel if you like a very social and youthful situation. There are no real downsides to the low prices. 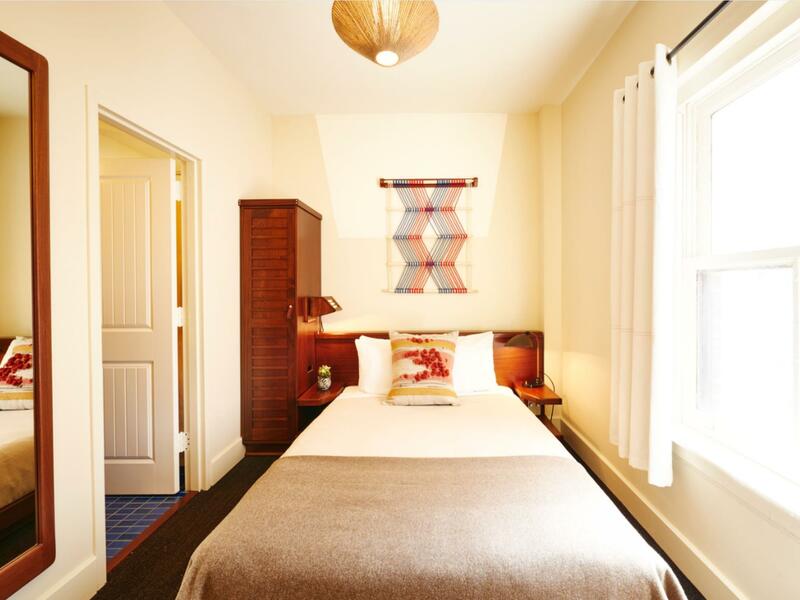 The hotel is well equipped, in the style of a hostel, with guest kitchen, laundry, lockers in the shared rooms (you’ll have to have your own padlock), etc. For the rest feels like a hipster hotel, the bar is crowded at night and the coffee is great. The location is great, walking distance from all central sights and literally 3min form the metro station. great experience for a first time in the US. near subway, supermarket, near Magnificent Mile, Navy Pier, Water Tower Place, Apple Michigan, Trump Tower. oats, cereals, bread, speeds were served for breakfast. however, it's the same every day. Hello, Thank you for staying with us and for taking the time to review your stay. I am so glad to hear you loved your visit and that you found our location to be amazing. I hope we can see you back again very soon. The Queen size room is good this time with the street view. Convenient location only 3 minutes walk to CTA Red line. Stylish hotel with excellent services, the front office is flexible and willing to help, we appreciated the luggage storage service!! Definitely will come back again!! Hello, Thank you for staying with us and for taking the time to review your stay. I am so glad to hear you loved your visit and I hope we can see you back again very soon. The location is great, 3 minutes walk to CTA Red line. Stylish hotel with excellent services, the front office is flexible and willing to help, we appreciated the luggage storage service!! Definitely will come back again! !